The Spanish Royal Family will retake its agenda over the weekend with the annual Pascua Militar ceremonies at the Royal Palace in Madrid. Last month, King Felipe closed the year by taking on — once again — the separatist threat in Catalonia during his Christmas Eve address. After elections there before Christmas, in which pro-independence parties lost the majority of votes but won the most seats, the King warned against efforts to break away. “The path cannot take us again to confrontation or exclusion that, as we know, only generate discord, uncertainty and poverty — moral, civic and of course economic — for an entire society,” said the King. Catalan nationalists accused the King of not softening his tone from an earlier speech on the crisis and for siding with the conservative ruling party. Mainstream commentators, however, noted that conservatives were not happy with the King’s remarks either because it appeared to accuse them of not seeking a negotiated settlement. The King also encouraged Spaniards to be confident in their Democracy and — while addressing corruption and the economy — to be more proud of their achievements. The Royal Household released the Christmas cards below last month. The King and Queen and their daughters featured a family picture. 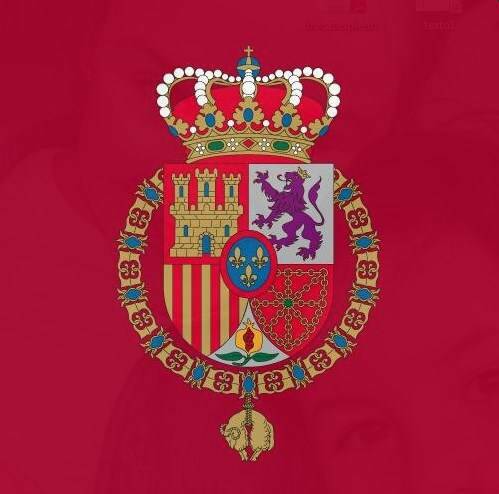 King Juan Carlos and Queen Sofia’s card featured, as is tradition, an image of Spanish art. The Pascua Militar, which coincides with the Christian celebration of Epiphany, is one of the year’s most important military-related events.